Overhead messages are just the best. To illustrate, let’s set the scene. You’ve worked incredibly hard to get your customers or clients on-site to your business. There they are, the perfect demographic - taking everything in, getting ready to make all important purchasing decisions. You’ve selected the best background music for the shop, and are ready to enlist your ultimate weapon - the perfectly crafted overhead message promoting your latest product, service or special offer. The message hits, and there’s...no reaction whatsoever. What happened? How did this all go so horribly wrong? To investigate - and then determine the absolute best way to utilize this powerful marketing tool for your business, let’s look into whether or not you used the following principles. It seems obvious, but this most basic principle still seems to pass people by on their first attempts at presenting overhead messaging. Simply put, if the daily buzz of sound in your store is louder than the message you’re playing...nobody is going to hear it. Be sure and perform some amateur sound science before releasing your messaging to the world - by which we mean, play it on a normal business day, then ask around to see if everyone heard the message clearly. Note: you may have to go louder than you would normally feel comfortable with in order to ensure that everyone is able to hear what you have to say. Forgive our love of 90’s one-hit wonder Shannon, but this is a really important point when it comes to effective overhead messaging. You’ve spent time and money to install the perfect music mix to entertain and motivate your clientele - don’t ruin the atmosphere by moving to the spoken word of your message too many times. Find the right ration of music-to-announcements that keeps everyone in the right frame of mind. 3. Go with a Pro. Look, everyone thought Sarah from accounting and Pete from shipping did a bang up job emceeing the holiday party White Elephant gift exchange - but that does not mean they’re the best bet for handling your vital in-store announcements. 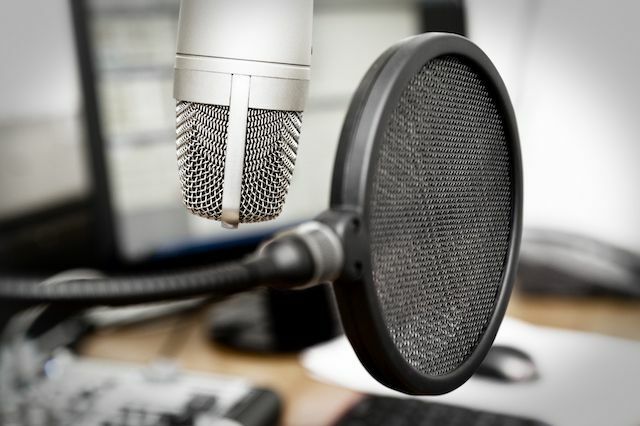 Hire a professional voice-over actor or actress who understands the importance of proper pitch, volume and how to really enunciate and emphasize the most important parts of your audio messages. It’s harder than you think (even for Sarah and Pete…). Just like a totally killer song you hear at the beginning of summer, but then can’t stand by the start of September, hearing the same in-store message again and again will lead to it’s getting stale. To make sure that you keep your customers hanging on every single word, try several different approaches to the same message - or mix up two or three different topics in the span of a day or a week. In addition to making sure that your messages maintain their efficacy, it’s a cool way to test which approach is best. At Cloud Cover Music, we help our clients present the absolute BEST in-store overhead messages in the business. Whether you have your own recordings to insert into the music mix, or want to take advantage of the top notch pros at our Los Angeles-based studio, we can help you reach your customers with a powerful and unforgettable message that delivers results.